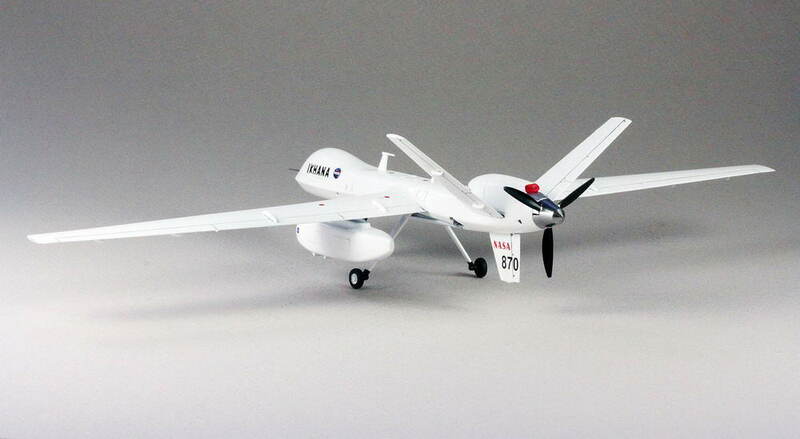 The MQ-9 Reaper Unmanned Aerial Vehicle (UAV) is a multi-role aircraft capable of high altitude, long duration hunter-killer and Intelligence, Surveillance and Reconnaissance (ISR) missions in support of theater combatant commanders. 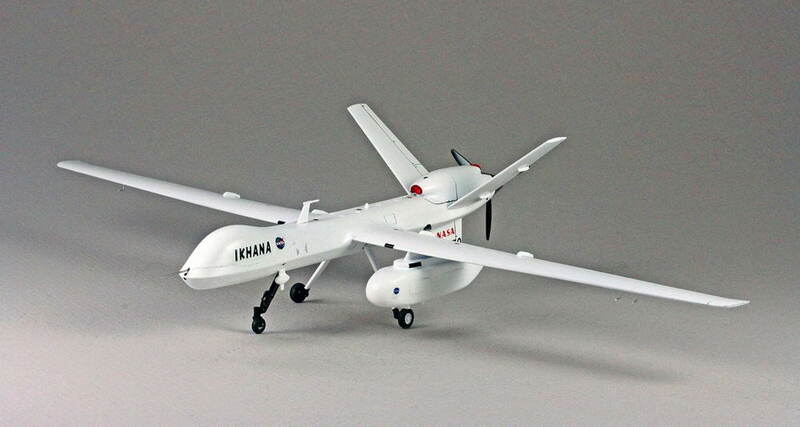 In addition, several civil agencies have purchased or leased unarmed Reapers for domestic use. 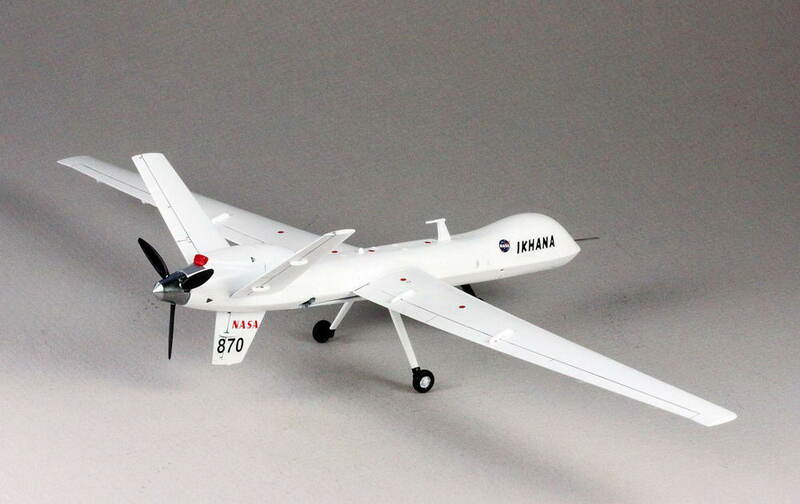 See our First Look Review for more Reaper program background and photos of what you actually get in the kit. 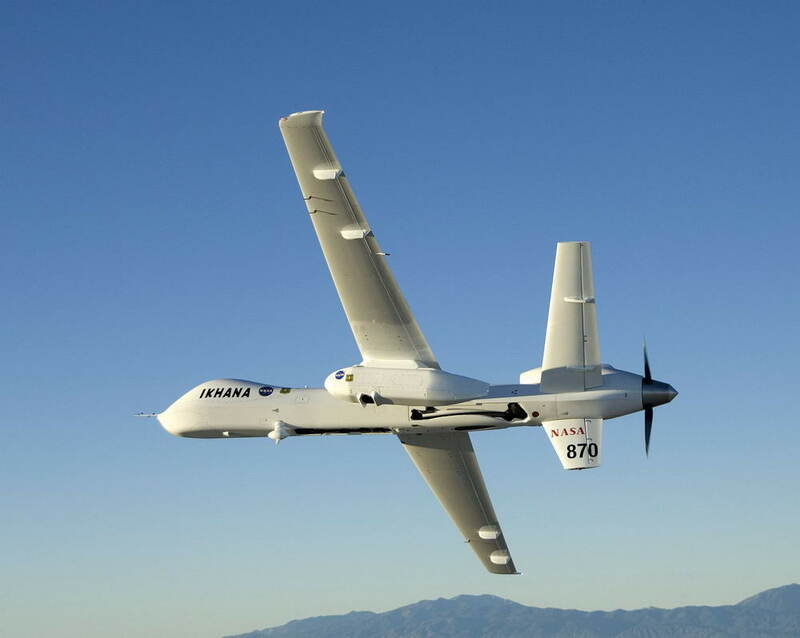 The Reaper in this review is NASA 870, "IKHANA," as used in mapping Southern California wildfires during the 2007-2009 fire seasons, in cooperation with the US Forrest Service. More reference for IKHANA (Choctaw for "intelligent, conscious, aware") can be found here. 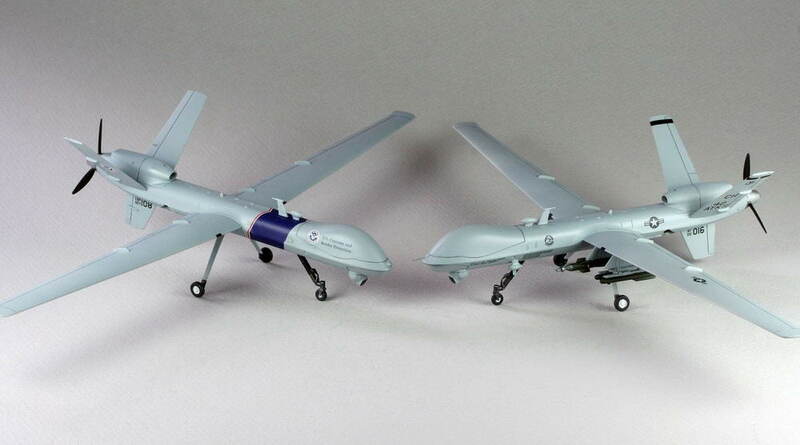 I've built several Skunkmodels MQ-9 kits, one marked in the combat gray USAF scheme and one in the only slightly more colorful US Customs and Border Protection scheme with a red, white and mostly blue fuselage band as provided on the kit decals. When I saw the Caracal decal sheet (CD72001) with a white Reaper in NASA markings, I knew I had to build at least one more. 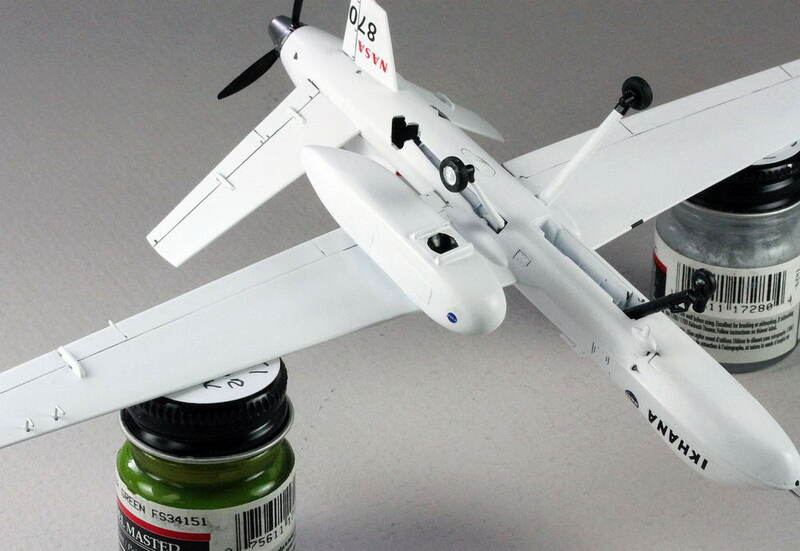 The Skunkmodels kit is an easy build resulting in a good looking Reaper model in just a few hours, including painting. Construction is straight forward following the 8 page instructions and (somewhat skimpy) painting guide. I added a bit of lead to the front fuselage to keep the nose gear on the ground. 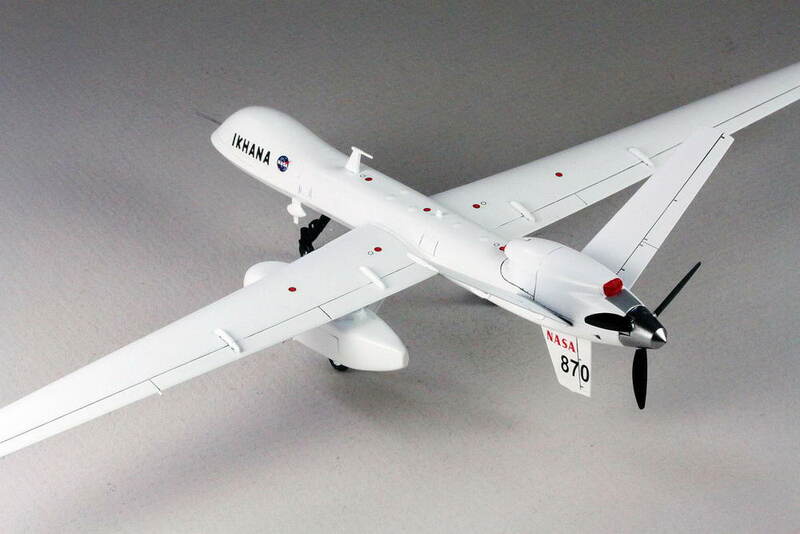 For NASA 870, a demilitarized Reaper, one can delete the upper SATCOM antenna (part B23), the nose-mounted Forward Looking Infra-Red (FLIR) sensor (parts B13/14), and the underwing weapons pylons. 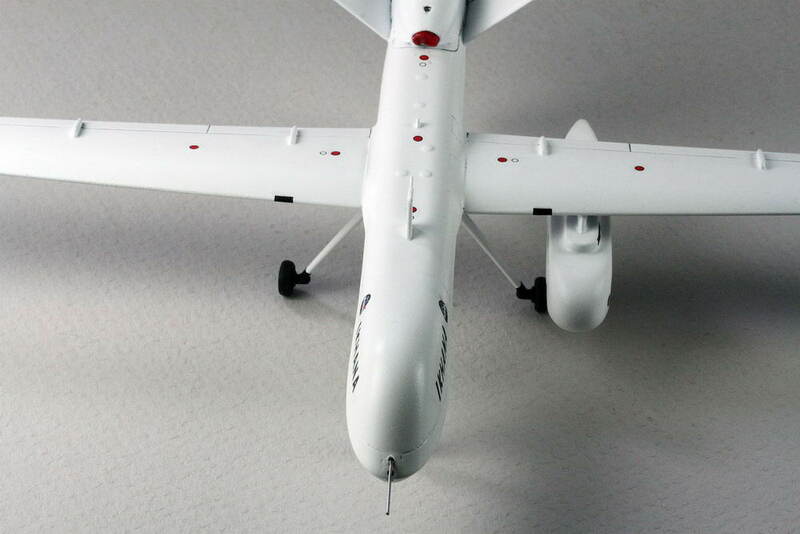 I wanted to model IKHANA with the large underwing IR scanning pod (see photos), so I used part of the #2 weapons station pylon (part B15). The pod itself was carved and sanded from a basswood block (.5 x .5 x 2.25 inch) to match photos found on the internet. Everything was primed with Tamiya rattle-can primer, followed by several light coats of Tamiya rattle can Pure White, TS-26. Decals were from the previously mentioned Caracal sheet, which were excellent. I've had fun building the Skunkmodels Reapers. 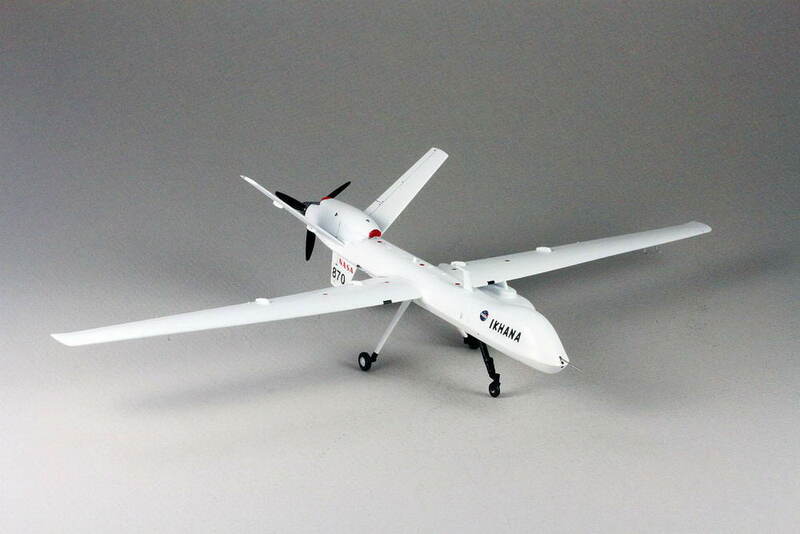 Doing the NASA MQ-9 in white, adding the IR sensor pod and the Caracal decals add another option to UAV modeling. The Skunkmodels kit and the Caracal decals are both highly recommended for beginners and experts alike. My sincere thanks to Lucky Model for this review sample!